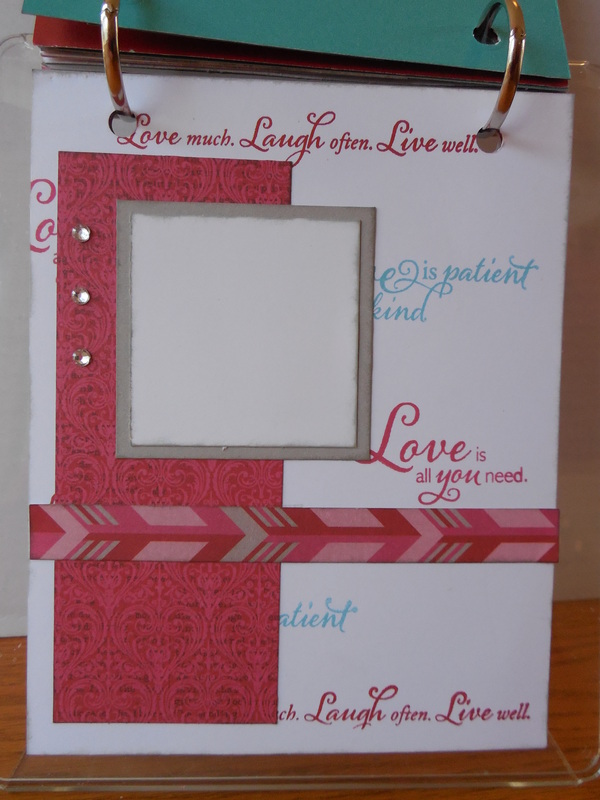 Close to My Heart shared a video a number of months ago putting together some great stamping techniques into the Designed Decor Flip Stand Album. 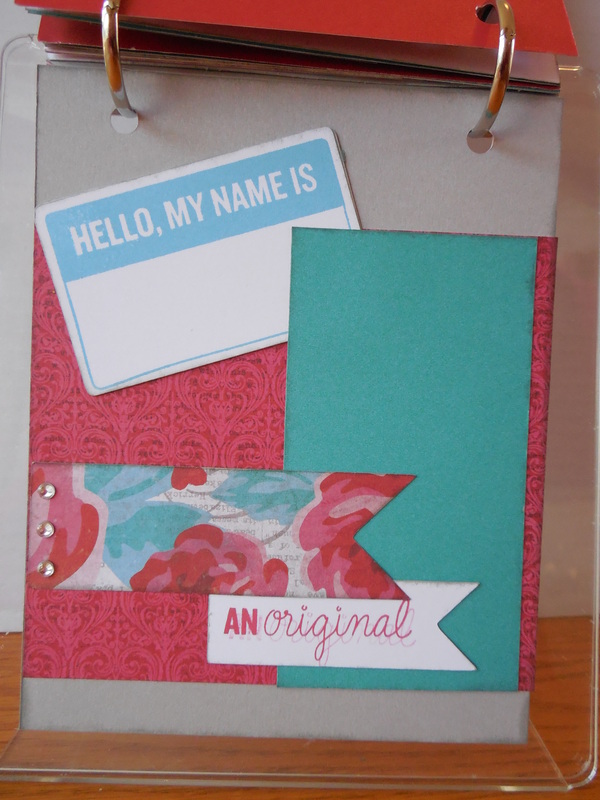 I thought this was a great little project so I set out to make one for myself and have incorporated it into my monthly card classes. 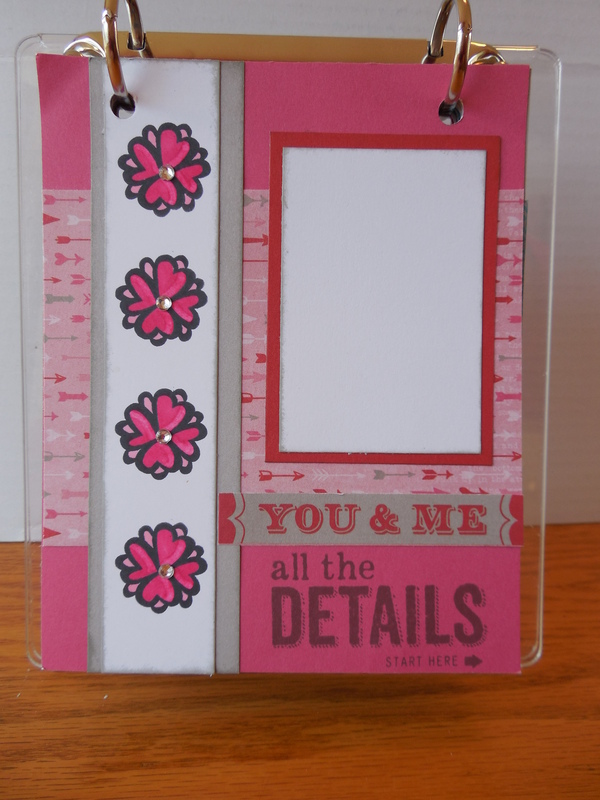 I started with the Heartstrings Paper packet and just chose random stamp sets to complete the pages. I can’t wait to get it filled with photos. The techniques showcased were: using markers; tone on tone stamping; tissue technique and masking; using the backside of a stamp for a base; curved stamping; kissing; paper piecing; using stamps for B&T paper; rock & roll and shadow stamping. My monthly card club is enjoying learning a new technique each month and it’s a super way to use up retired paper. If they choose not to buy the flip stand album I have offered to use my bind it all so they can refer to their technique book. If you’re a consultant and would like to make a project like this, please refer to the Training Videos on the Training and Events tab in Online Office for the video. Thanks for stopping by – remember, stamping is more than putting ink on paper! 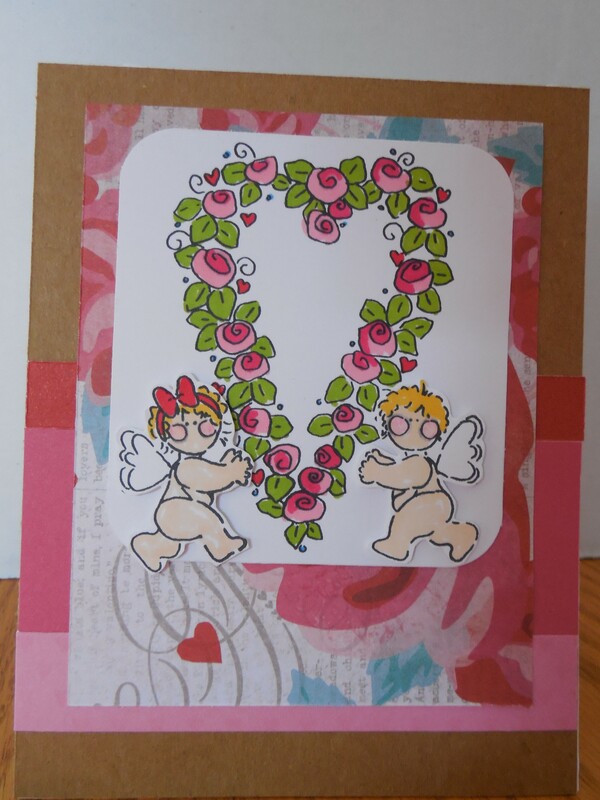 I reached for a stamp set from Jeanette’s Archive (I had this one in wood way back when) to make a couple of Valentine cards. 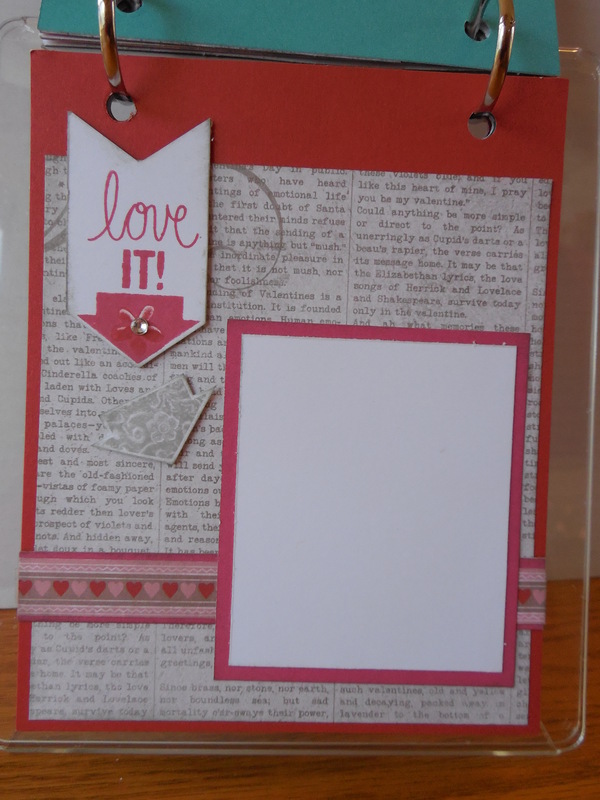 My first card is taken from a pattern in the Make It From Your Heart Vol. 2 I used some miscellaneous scraps of cardstock (my best guess is Pixie, Hollyhock & Cranberry) paired with the large floral pattern from Heartstrings (this paper is only available until March 31 so order yours soon) I then stamped the heart and colored each of those little roses with the Shin Han markers, the little cupids are also colored and then fussy cut and layered with Thin 3-D Foam Tape (have I mentioned I love this stuff). 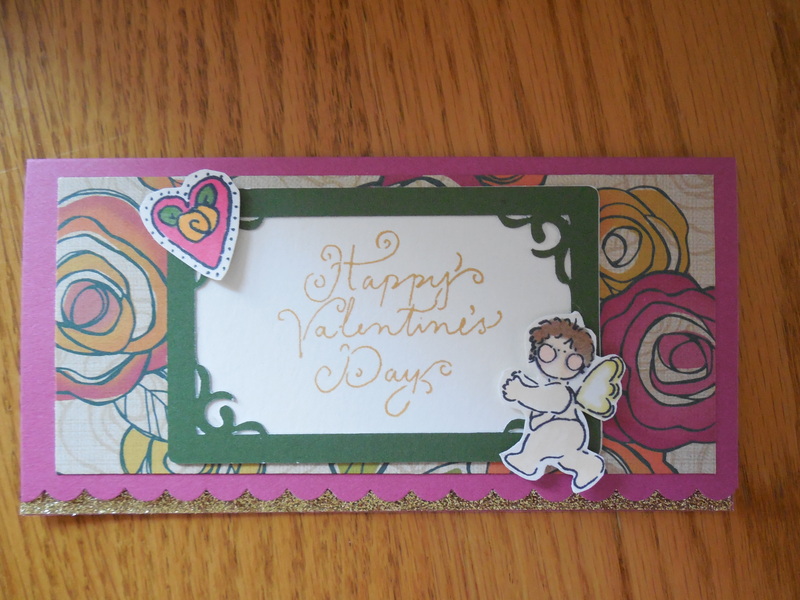 My second card is made from the Flirty Paper Pack (retired) with the same stamp set. 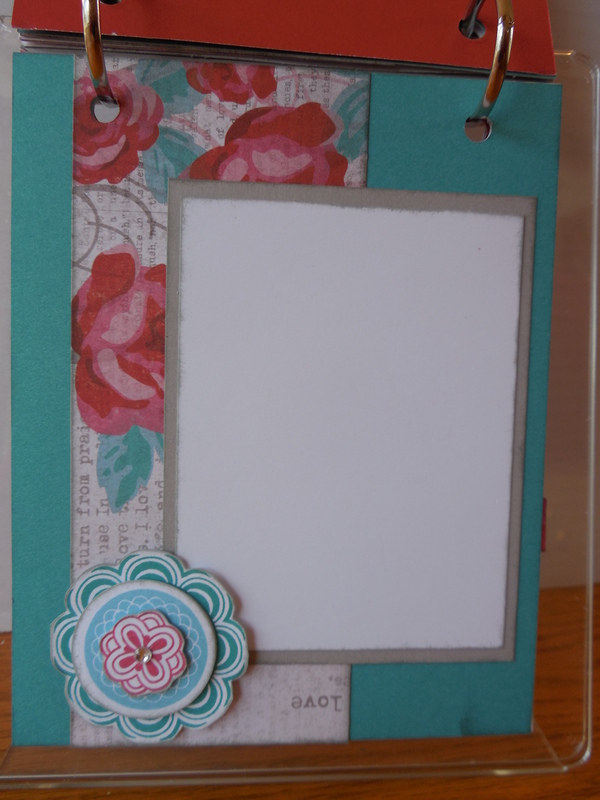 This little card is a 3X6 with the front cut with the Scallop Border Punch (notice the little sparkle? 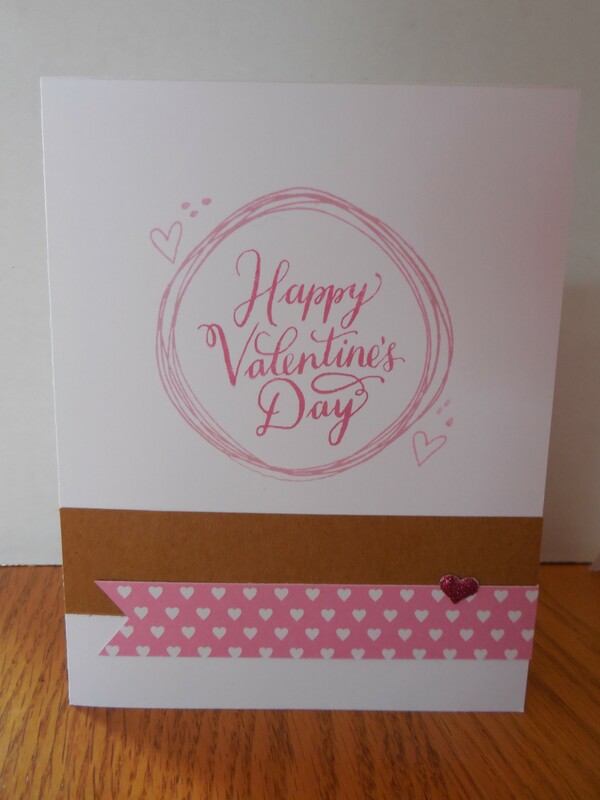 It’s Gold Shimmer Trim mounted on the bottom of the inside of the card.) the frame is cut from the Cricut Art Philosophy cartridge. The heart and cupid are again colored, fussy cut and mounted with Thin 3D Foam Tape. 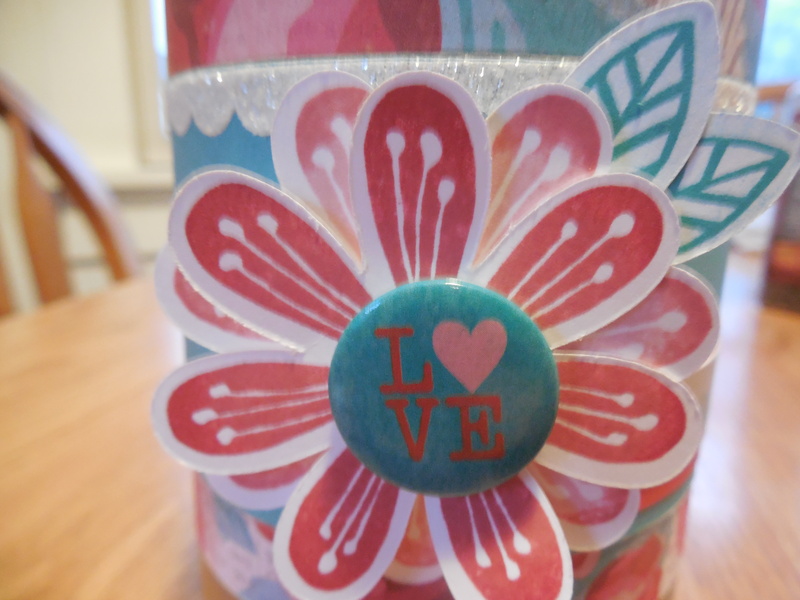 I hope you’ve enjoyed stopping by today…show me a little love by leaving a comment. 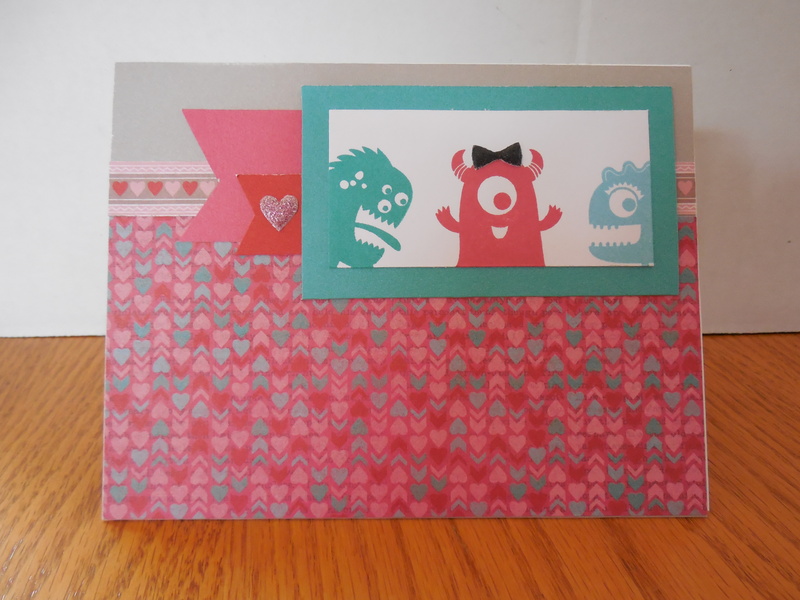 I disappeared in the craft room today to make a birthday card…then my Valentine stamps started calling my name and since the Mojo Monday Sketch Challenge was printed I decided I could probably steal enough time to get a second card made. 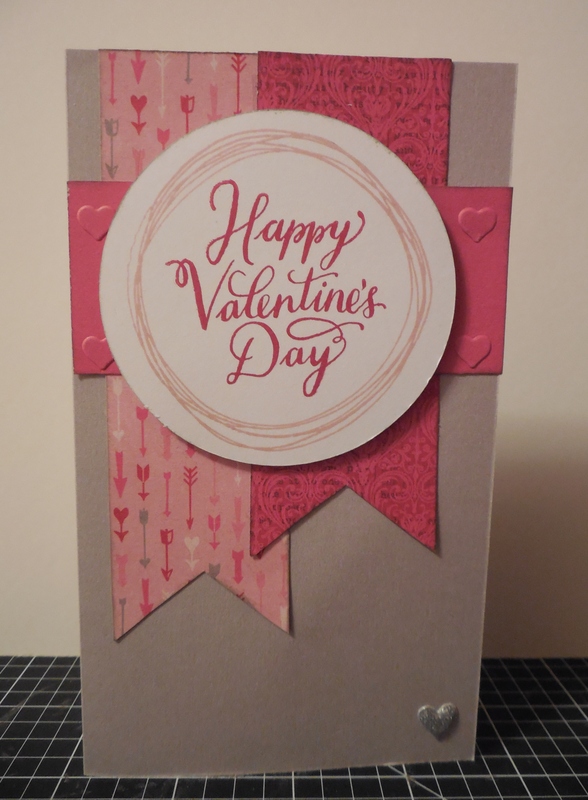 My card started with a base of Whisper and then I pulled a couple of B & T’s from the Heartstrings paper packet to make the pennants. The band across the middle was embossed with the new Heart embossing folder…I think it’s my new favorite. 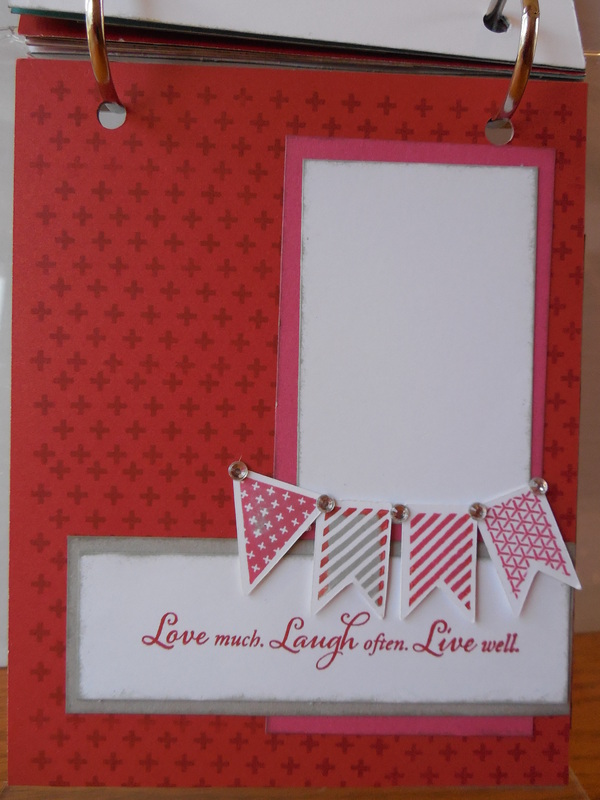 I stamped the circle from Doodled Designs in Pixie and the Happy Valentines Day sentiment in Cranberry. The silver heart is from the Stuck on You Puffies. I was missing in action between the holidays and a trip to Mexico and it was my intention to get this posted before I left, but alas here it is the last day of the year before I get around to posting. I LOVE the Heartstrings Paper Packet! Yes, almost as much as my Wrangler Wearing Sweetheart, LOL! 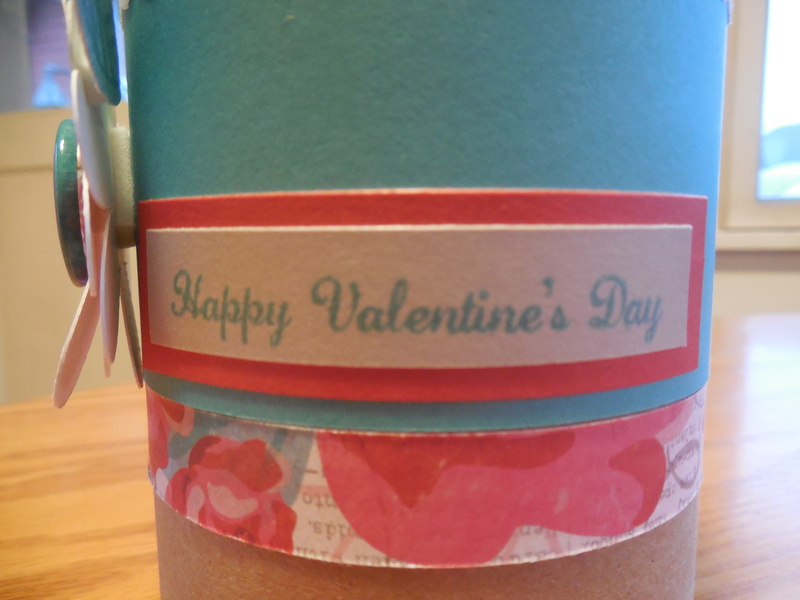 I have had this My Creations Kraft Container hanging around for a while and I thought that I’d get a jump on Valentines Day. I am so happy how it turned out. Here’s hoping you have a fantastic end to your 2014 and find lots of crafting time in 2015!